characterized by high growth rate, shorter doubling time than the non-small cell lung tumors. 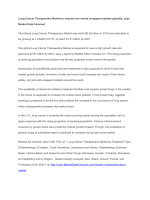 priced drugs are the major factors driving the growth of lung cancer therapeutics market. treatment, drug therapy, and end user. 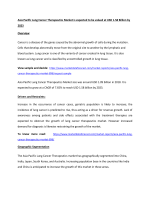 pharmaceuticals llc Novartis AG, and Bedford laboratories.  Universities and Business Schools.